Tourism organisations are calling for a single Trans-Tasman visa between Australia and New Zealand to simplify visits for long term travelers. 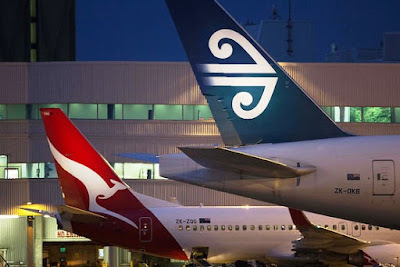 At present, both countries require individual visas to visit each country as a tourist, but under a single Trans-Tasman visa, both countries would be marketed as a single destination, allowing tourists to move between Australia and New Zealand throughout their stay. The single visa method was temporarily utilized during the 2011 Rugby World Cup and the 2015 Cricket World Cup, and New Zealand tourist groups estimate that a permanent visa could boost tourism to New Zealand by 140,000 visitors per year, with Australia also benefitting from an increased number of visitors annually. “It’s money saving and time [saving]. I mean, [under the current system] you have to fill out a lot of forms, you have to wait days, even weeks, to hear that you’ve got your visa, and there is the cost. Why make people go through both of those when the visitors are coming all this way down to our part of the world? Let’s encourage them to visit both countries rather than discourage them because they can’t be bothered with the hassle of applying for that visa”. “We’ve done it before, so let’s make it permanent”. Of course, a permanent Trans-Tasman visa has little effect on the freedom of movement debate, as Australia and New Zealand already operate under an informal agreement for free movement via the Trans-Tasman Travel Arrangement. However, what is important to note here is the cooperation, between both countries, to ease visa restrictions and immigration protocols. Tourism groups have written to the Australian Minister for Immigration and Tourism in support of their call, and if efforts are made to ease visa restrictions for tourists, this could be a step in the right direction to ease visa restrictions for those wishing to reside permanently in Australia and New Zealand from Canada and the United Kingdom.